DigitasLBi, as it is known for transforming business into digital age, had a wholehearted interaction with students regarding the uses of digital technology and the effects it has on lives. The DigitasLBi Culture Club also shared the importance of 9Ps, a concept introduced by Edutopia, that helps one remember details required to protect oneself and be a responsible digital user. The interaction also included a quiz and the students were given incentives on the basis of their answers which enabled them to enhance their knowledge in an interactive manner. Speaking about current generation kids and their visit, Himani Kapadia, ‎Head of GDD Implementation, International and Chair, India at DigitasLBi on her observation said “I have always been of the opinion that the youngest generation is where the future of the digital industry lies. Their love for knowledge, their sometimes overwhelming curiosity, and above all, their innocence around the field that is so tarnished by click baiting and the likes, makes it important (and a silver lining) for someone to educate them. With technology being furthered constantly, whether via nanocrafts from Stephen Hawking or reusable rockets from Elon Musk, it allows an opportunity for the DigitasLBi Culture Club to catch the unicorn by its horn and show them a responsible, sustainable path as far as technology goes”. The main agenda of the entire interaction with students was to know the amount of information today’s kids have with regard to the use of digital platforms and the advancement in technology. Additionally, the enthusiastic bunch of children quoted examples and shared anecdotes and experiences from their lives about using digital mediums to transfer money, buy groceries and other details. 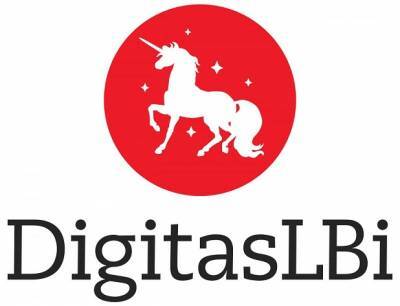 DigitasLBi creates global VR experience for OnePlus 3 launch.